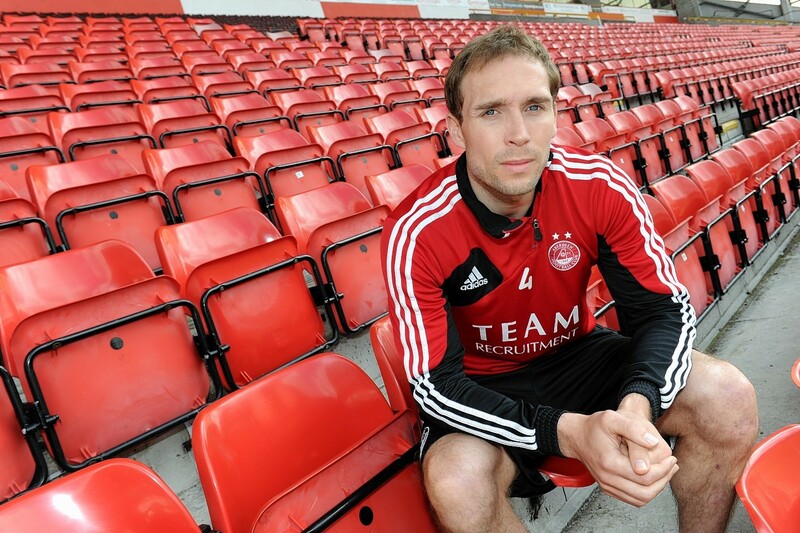 Aberdeen captain Russell Anderson is not looking any further ahead than next season after committing his future to the club for another year. The Dons captain will be 36 in October but, having played his 400th game for the club against Motherwell on Sunday, Anderson believes he is good to go for another year. He said: “It’s a good place to come to work anytime but being successful has made it an easy one to make. “You are a long time retired and I’ll be able to play on next season but I’m looking no further than that. Anderson cites the successful central defensive partnership he has formed with Mark Reynolds as a key factor in his decision to continue for another season. He said: “Playing alongside Mark, who has had an exceptional season, was good and we had a settled back four which helped. “He covers well for me and that comes with playing games together. We understand how each other plays and he was rightly rewarded by being named in the team of the year. “In some ways the game is easier to play now but I’m not as quick as I used to be. “Thankfully, I have players who can do the running for me but what I have learned is how to read the game and know when to make a tackle. It was great to be offered another year on the back of this season. Anderson is pleased he will be joined in returning for another campaign by fellow veteran Barry Robson. The Dons will return on June 11 for pre-season training following Sunday’s 1-0 defeat by Motherwell and Anderson is determined to use the pain of missing out on second place as motivation for next term. He said: “The manner of the defeat on Sunday was hard to take but if you look back over the season it will be viewed as a successful one for us. “There is a bitter taste at the moment as we deserved more than we got on Sunday but we will pick ourselves up and go again.